Beni Mellal (Standard Moroccan Tamazight: ⴰⵢⵜ ⵎⵍⵍⴰⵍ‎, ayt məllal‎; Arabic: بني ملال‎, bni məllal‎) is a Moroccan city located in the country's interior. It is the capital of the Béni Mellal-Khénifra Region and has a population of 192,676 (2014 census). It sits at the foot of Jbel Tassemit (2247m), and next to the plains of Beni Amir. The walls of the city go back to Moulay Ismail, in 1688, as well as the Kasbah Bel-Kush but most of the city is quite modern and forms an important economic centre for the region particularly in the areas of petrochemical production as well as textile manufacturing which forms the backbone of the wider community. Local agricultural products as oranges, olives, figs etc. find their way to the market via Beni Mellal. The city has good connections via the road to Casablanca to the East and lies on the ancient route - now a national road - from Fez to Marrakech. The national rail-operator ONCF is also extending the railtrack from Casablanca to (nearby) Oued Zem to the city. The city was first called Ismali back in 1688, since Moulay Ismail, the second ruler of the Moroccan Alaouite Dynasty, built the fortresses of Tadla (remains still visible today). The ruler also constructed the well known Kasba Ras el Ain of this area, which overlooks the whole city along with the agricultural surroundings. It is made from stone and is close to the spring of Ain Asserdoun. The Kasbah was believed to have been built in order to protect this spring and to protect the surrounding area. The spring of Ain Asserdoun means the source of the mule or the eye of the mule. In the area of Soumaa a zaouia exists dated back to the 16th century, which is still used for religious purposes. 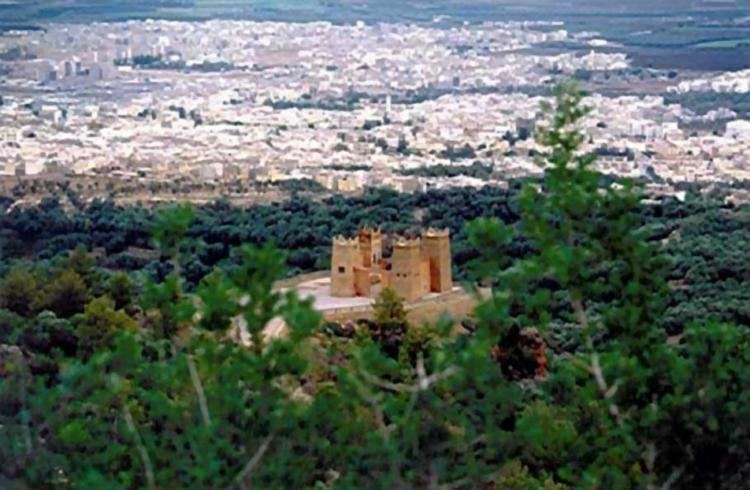 It was the meeting of these two cities, Tadla and Soumaa, which formed the name Beni Mellal which translated means Day. Beni Mellal is served by Beni Mellal Airport. 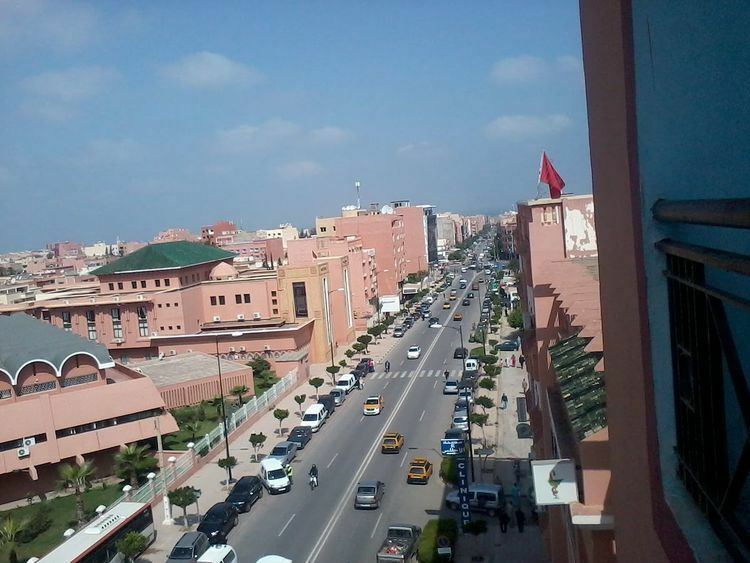 In Beni Mellal is located Sultan Moulay Slimane University.